It will soon be easier for Singaporeans to volunteer or donate, with the launch of an app to matchmake aspiring do-gooders and social causes. 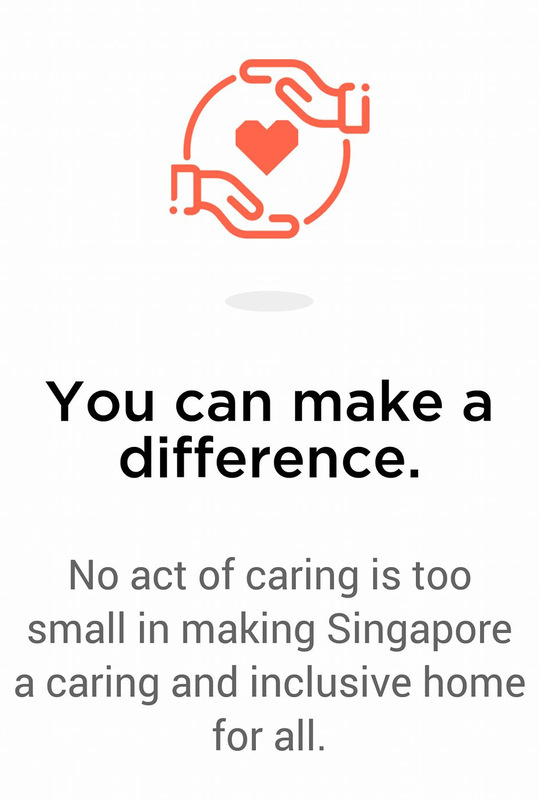 Developed by SG Cares, the national movement to promote volunteerism, the app was announced yesterday by Prime Minister Lee Hsien Loong, who called on Singaporeans keen to contribute to step forward. "Doing good for others, caring for the vulnerable and needy in our midst, deepening our sense of responsibility for each other - these will help us build a better home, where every member of the Singapore community contributes to a caring society and in turn enjoys strong social support," he said at a SG Cares carnival at Our Tampines Hub. While volunteerism is on the rise here, some patchy spots remain: For instance, those between the ages of 25 and 34 tend to volunteer less. Only 29 per cent of respondents in that age group volunteered for a social cause in 2016, a biennial survey by the National Volunteer and Philanthropy Centre (NVPC) found. In contrast, those aged between 35 and 44 were the most enthusiastic, with 48 per cent stepping forward. Overall, 35 per cent of all respondents volunteered - up from 15 per cent in 2014. In 2016, SG Cares was kick-started as a national initiative to support volunteerism. For instance, it helps to coordinate efforts - such as those between social service organisations, companies and public agencies. It is managed by NVPC and the National Council of Social Service. Beyond getting Singaporeans to help the needy, SG Cares is also among the programmes cited by the Ministry of Culture, Community and Youth to promote mixing across different social classes. This comes after a survey published last month which found that the sharpest social divisions in Singapore may now be based on class, instead of race or religion. Yesterday, PM Lee recounted how Singapore's forefathers - both the successful and the less well-off - had looked out for one another. Those who could, built schools, hospitals and places of worships. Others helped immigrants who arrived after them. "Everyone understood that they were stronger together, than standing alone," he said. "It is this spirit that we hope SG Cares can help to engender; a caring society where no Singaporean is left behind." PM Lee also highlighted the efforts of Youth Corps Singapore volunteer Muhammad Afzal Abdul Hadi, 22, who organises activities for low-income families, and Presbyterian Community Services volunteer Julie Tan, 73, who befriends seniors who live alone or have little family support. Madam Tan told The Sunday Times that despite her age and health issues, she finds joy and fulfilment caring for the five seniors under her charge. The retired nurse and cancer patient, who lives alone in a flat, believes in giving back when she is still able. "I'll bathe them, cook for them... But most of all, they want someone to talk to them," said the widow. The newly launched app offers details of volunteering projects available - such as contact information and donation methods. There are 310 projects currently listed. Describing it as a curated platform to aggregate stories of volunteering, NVPC chief executive Melissa Kwee said it is intended to interest and inspire those who might not know what social causes to adopt. She said: "It's not about making those in a certain (age group) feel like they are not doing enough, but to encourage people to volunteer because of the impact they can make on society." Where does your donated blood go?